As some of you know, I’ll be releasing a new book in the coming weeks entitled Old Money, New Woman: How to Use the Secrets of the Upper Class to Make It in the Modern World. This third and probably final volume in the Old Money series (after The Old Money Book and The Old Money Guide to Marriage) is written specifically for women. In it, I articulate 8 Old Money Secrets that any woman can use to jumpstart her path to financial independence and enjoy a better quality of life. In the 18 chapters of the book (the most substantial Old Money title yet) I cover a multitude of issues that face women today. I talk about how to get some Perspective on life. How to embrace Ideals and recognize Illusions. How to think about Investing. How to present yourself to the world (including a chapter on Clothing and Grooming). Why and how to establish Protocols that help you handle awkward situations, avoid painful mistakes, and setting yourself up for success by making decisions–in advance–about the important things in your life. For you, the modern woman, I’ve included–in addition to some insightful, time-tested advice–exercises for you to do, questions for you to ask yourself, and examples of ‘Exemplars’ to inspire you. These Exemplars are women who blazed a trail, made an incredible contribution to the world, and set a sterling example for women to follow today. As a preview, below is an Exemplar who was born today, November 7, 1867. So, Happy Birthday, Madame. Et merci. The daughter of a secondary school teacher, she went to Paris to study physics and mathematics at the Sorbonne in 1891. There she met the love of her life, a professor in the School of Physics, whom she married in 1895. Together, they began investigating radioactivity, and in July 1898, they announced the discovery of a new chemical element, polonium. Soon thereafter, they announced the discovery of another, radium. The couple, along with Henri Becquerel, were awarded the Nobel Prize for Physics in 1903 for their work on radioactivity. Following the tragic death of her husband in 1906, she took over his teaching post, becoming the first woman to teach at the Sorbonne. She devoted herself to continuing the work that they had begun together. In 1911, she won another Nobel Prize in Chemistry for creating a means for measuring radioactivity. Her research and work remained largely in the domain of the academic until the First World War when she applied her discoveries to the development of x-rays. During the war, she designed and equipped small ambulances with mobile X-ray units. These were used to diagnose injuries near the front lines. The International Red Cross made her head of its radiological service and she held training courses for medical orderlies and doctors. As Director of the Red Cross Radiological Service, she toured Paris, raising money and seeking donations of supplies and vehicles which could be converted to ambulances. In October 1914, these first X-ray machines, known as “Petits Curies”, were ready, and she set off to the front. Her daughter Irene, then aged 17, joined her at casualty clearing stations close to the front lines, X-raying wounded men to locate fractures, bullets and shrapnel. Her innovations, expertise, and courage saved thousands of lives. After the war, she continued her work as a researcher, teacher and head of a laboratory. Despite her accomplishments and contributions, she continued to face great opposition from male scientists in France and never received any significant financial rewards from her work. By the late 1920s her health was beginning to deteriorate. 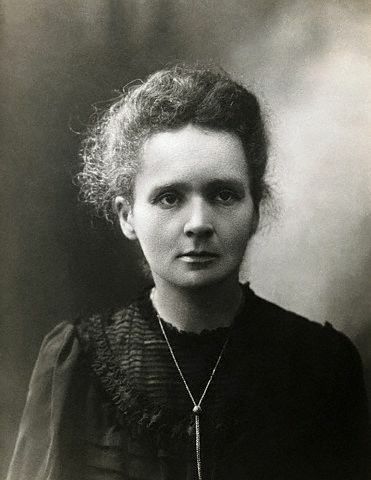 She died on July 4, 1934, from leukemia, caused by exposure to high-energy radiation from her research. Her daughter Irene became a scientist as well, and also won a Nobel Prize for Chemistry. Needless to say, her discoveries and innovations changed the landscape of science and medicine forever. The next time you go in for a ‘routine’ x-ray, thank her. If you see science, technology, and medicine as beautiful endeavors waiting to be explored, learn more about the life and work of Madame Curie. Very interesting profile, and apparently I need to get to work! Byron, will your new book be available for pre-order and as a hardcopy book? This is the only time I have eagerly anticipated Black Friday. I’m looking forward to your next book, when will it be available? Along with the others leaving comments here, I am also eager for your upcoming book. Byron. Thank you for this inspiring post, a teaser of what is to come. I’m hoping your book comes out before Christmas because it will make a lovely gift for my two adult daughters as well an addition to my own Christmas Wish List (wink, nod). Happy Thanksgiving to you! Looking forward to release information for your new book. Cheers!